No one is sure how many people had been aboard the badly overloaded boat on Lake Victoria. The survivor, an engineer, was found near the engine of the overturned vessel, Mwanza regional commissioner John Mongella told reporters. The Tanzanian Broadcasting Corporation, which reported the death toll, said he had shut himself into the engine room. 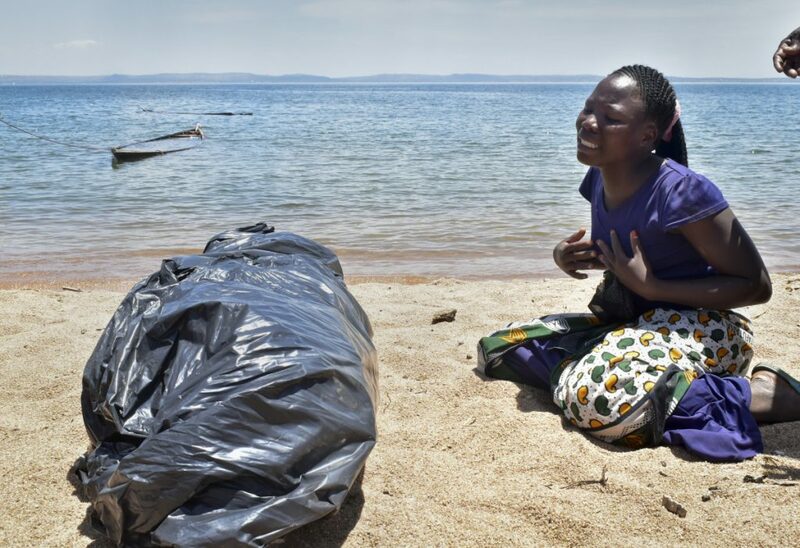 Colorfully painted coffins arrived, and the work would now focus on identifying bodies, Tanzania’s defense chief Venance Mabeyo told reporters at the scene. Families of victims gathered and prepared to claim the dead. Mass graves were dug, and workers continued to haul the dead from the water. Abandoned shoes were scattered on the shore. But the total number of deaths might never be known. No one is sure how many people had been on board the badly overloaded ferry, which officials said had a capacity of 101. It capsized in the final stretch before shore Thursday afternoon as people returning from a busy market day prepared to disembark, while horrified fishermen and others watched. Accidents are often reported on the large freshwater lake surrounded by Tanzania, Kenya and Uganda. Some of the deadliest have occurred in Tanzania, where aging passenger ferries often carry hundreds of passengers well beyond capacity.